Since 2012 and the passage of a law related to Camp Lejeune contamination, few claims have been approved for care regarding Camp Lejeune toxic water contamination. Last year, the VA admitted that the denial rate was above 95% for all Camp Lejeune claims processed through the VA. While that rate may be softening a bit, complaints continue. That said, the VA has been slow to act and has created quite a bureaucracy in terms of their claims process and the hurdles involved to get that care. Therefore, a recent push was initiated to persuade the VA to convert some or all of these conditions to “presumptive status”, and then continue studies to add to the list as necessary in the future. The VA has acquiesced, somewhat. It has now posted a new rule for public comment. Assuming that there are no objections or modifications, the VA will move forward to codify this soon. It is our understanding that it will take the VA almost another year to begin implementing this rule change. While not all of the 15 conditions were included, the 8 are at least a positive start for our military members exposed. It is not clear why only 8 were chosen, or what sort of negotiations are involved. The following 8 were picked for presumptive status – adult leukemia, adult leukemia, aplastic anemia and other myelodysplastic syndromes, bladder cancer, kidney cancer, liver cancer, multiple myeloma, non-Hodgkin’s lymphoma, and Parkinson’s disease. 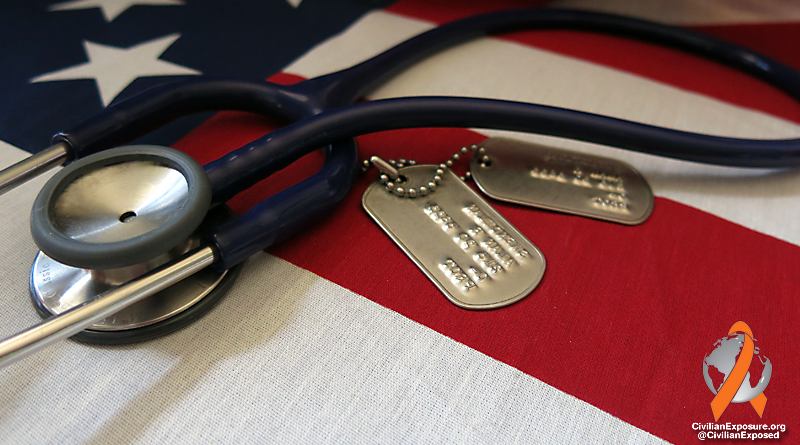 The new VA rule is open for comment until October 10. We will take a look at formulating a comment in support of the inclusion of the remaining 7 health conditions. While the wording of their position has shifted some, their defensive stance essentially remains the same. By the way, this is just the beginning. What about the other 7 conditions? What about additional health conditions that have been uncovered in recent studies and science? What about the civilian federal workers aboard the base? What about the military spouses living in base housing? What about the children living on base and using base amenities daily? There’s much more work to be done. Many constituencies remain without assistance to this day. If they wait long enough, we will have all have passed away. A positive start or more false promises, we need and deserve a final answer. Do our Camp Lejeune lives matter? Time is not on our side. It’s hateful to remove anything conditions or illnesses that had been accepted as caused from exposure.This is not going to improve moral. And this “Angry Veterans Syndrome, a lot of Camp Lejeune folks have it. It’s not from the Toxic water but from the loss of our loved one’s. It has been said and admitted to that the water we drank and bathed in along with our families WAS contaminated. Therefor if we got sick isn’t it reasonable to assume we deserve some type of monetary gain for our pain and suffering along time coming? In 1998 and 2000 Hollywood made movies , Erin Brockovich being one example got Millions in far less the time. No one is profiting here. Please do what is right as Millions has already been saved because people are dead and didn’t know why they suffered and no one has been held accountable. I’m very happy to see some positive movement. I’m waiting on a test to see if I have bladder cancer or not. Hoping that I don’t. I am service-connected for a fatty liver. Was denied on the first claim, but was granted after I went to a liver specialist. Keep up the good fight and never stop. My husband was at Camp Lejeune in 1973 -1974 before going over and after returning from Vietnam. In 2007 he was diagnosed with Hodgins cancer and had to go through many gland removals and chemotherapy. He has applied for VA benefits at the end of June 2016 but have not heard anything as of September. We had to gather all the paper work from the hospitals which took almost 2 months. The other part of my husbands story is that his twin brother was also at Lejeune but as of today has not developed the cancer. Yes, I agree they are waiting for us all to pass away! They also didn’t contact us to let us know that we all had a lawsuit against the state of North Carolina until the statute of limitations ran out. My daughter was born with multiple birth defects one of the most major was having a lot of her skull removed at the age of three months old. I have had a lot of body parts removed suspicious of cancer – thyroid, ovaries, etc. I thought I had bladder cancer and now ground glass nodule in my lung. I was a woman marine stationed at Camp Lejeune for just 6 weeks. Also I have multiple cysts on my liver and terrible stomach problems. I also started having neurobehavioral problems shortly after leaving Camp Lejeune and still have them today. I don’t believe the study that used Camp Pendleton as the comparison study for Camp Lejeune. They didn’t test the soil or water until after the cleanup began. I was at Pendleton from 76-78 and have Scleroderma, Sjorgrens, etc and my daughter was born blind. A grandchild is autistic. On our way to the base each day we drove through “clouds” of pesticides that were so nasty, we had to wear bandanas over our nose and mouths until we passed through the clouds! We even made jokes about how it (the pesticides) would probably cause us to get cancer etc! Little did we know!! The water on base tasted so foul that many of us had to “doctor up” our coffee so much just to be able to stand the taste. This cover-up extends to El Toro and many other bases and “THEY” know it! They are trying to stop the bleeding by giving a little bit to the Camp Lejeune victims….which is what we all are….VICTIMS! Why the hell comment? It’s not doing anyone a dam bit of good! I have Neurobehavioral Effects and was in a study group in the 70’s on base at Camp Lejeune and all I get is “so what…who cares…what are you talking about…we don’t care”, so what damn good does it do for us to make a comment? I was there from 1958 to 1962. I’m 60% service connected for prostate cancer, 10% surgical scar, 100% copd from Camp Lejeune’s water, and still fighting them for Non-Hodgkins Lymphoma Leukemia. It took me 4 years to get my first sc prostate and COPD was 30% then, but now its 100% sc. You need nexus letters and show proof from expert witnesses that know about the history of the toxins in the water. Good luck to all of you. On the eve of our Marine Corps Birthday, I am proud to have earned the title, United States Marine. SGT E4. 1955 – 1958. In my 81 years I have never had to ask any Marine Brother for help, but because of the circumstances I will relate to you, only another Marine will understand and quite possibly have experienced this as well (I Can Only Hope Not). Of all the emails and face book reports that I have read, I have not read any account as bizarre as what I have experienced with my Claim and Appeal with the VA. I was stationed at Camp LeJeune, NC during November 1955 to December 1957. I like many others, was exposed to Toxic Materials and we Drank, Bathed In and our food was cooked in Contaminated Water. I was diagnosed with Prostate Cancer and underwent surgery for Radical Removal of the Prostate. One year later, my PSA rose to an unacceptable level and I received 35 sessions of Radiation Treatment to my Groin Area, which manifested the following Medical problems that I experience to this day. They are; Bowel Dysfunction (Feces Leakage), Male Erectile Disorder (Loss of Use Of Male Re-production Organ), Ischemic Cardiomyoapathy that has included 6 Heart Attacks with 5 stents installed, a Pacemaker, a Defibrillator, a Gunther Tulip Vena Cava Filter, Sleep Apnea, Restless Leg Syndrome, Stage 3 Chronic Kidney Disease and Diabetes Mellitus Type 2. All of these Medical Conditions were denied as not related to my Military Service, so service connection could not be granted. (Yes, I am Still alive. Battered and bruised, but hanging in there). My initial claim, filed on 11/17/2011, was denied on 09/13/2013. My appeal was filed on 09/16/2014 and that was denied on 06/03/2015. Now, “Can You Top This?” begins. I was assisted in the preparation of all my paper work by Virginia Pauley, who is affiliated with the American Legion and is an employee with the Virginia Veterans Affairs department in Norfolk, VA. A VA Form 9 was to have been submitted to the VA as part of other materials. The VA reported the form 9 as missing. Several people were involved in trying to locate the form with no success. The VA took the position that the form 9 was never sent from Norfolk and Norfolk did not make a copy of what Virginia said she sent. The VA has subsequently closed all of my files, claims and denials. If I refile, I will be given a new effective date of time now which will be the date used to calculate any retroactive payment of monies I would receive if my claim is approved. This leaves me with no recourse. I have been/am being penalized because of a mistake someone else made. Another aspect to claims that have been submitted because of Prostate Cancer is the inconsistency of approving/denying Prostate Cancer Claims. Reports from the RO VA Louisville, KY have shown consistently a 80% plus failure rate to support Claim Denials. I sent a FOIA request to RO VA Louisville, in March of 2015, to request copies of the test criteria that was used to determine a pass or fail decision. By regulation, a response was due within 30 calendar days. It was totally ignored and never answered. What is it they do not want us to know? I submit that because of the reluctance to answer the questions, all fail decisions should be reversed and all associated claims be approved and all benefits be awarded. This is just further evidence that the VA will do what it can to keep the claim approvals within budget. Forget their charter to care for us Veterans and see that we are fairly rewarded for any service connected disabilities and receive the medical care we need. As you can see from the distribution list, I am soliciting help from those who can provide any coverage of this injustice to help educate people about what really goes on behind the closed door marked VA. I appreciate any effort you can help with this, not just for me, but for all veterans who have been taken advantage of by the VA. By registered mail, I contacted the Chairman of the House Veterans Affairs Committee to request assistance with this same matter and he chose to ignore and not respond to my letter. As we gather at our various balls and festivities, let’s not forget tonight, the 25 plus veterans who will commit suicide every day and the many, many Veterans that will soon die without having received much needed Medical Care. Yes, we are at war in the Middle East against known enemies. We Veterans, here at home, are also at our own kind of war that is not of our choosing. We want to believe President Elect Trump’s statement that he intends to drain the swamp in Washington and address the issues with the VA.
SEMPER FI MARINES and GOD BLESS THE USA.